Abstract: As a loyal fan of Airwheel intelligent electric scooter, Jack's life has been altered totally. From the Airwheel X series, Q series and S series to its latest electric self-balancing scooters, such as M3, Z3 and F3 and so on, he knows every models of Airwheel electric self-balancing scooters. He has owned two Airwheel products, one is Airwheel X8 and the other is Airwheel Z3. Jack's life has been altered totally because of the Airwheel electric self-balancing scooter. He has owned two Airwheel products, one is Airwheel X8 electric unicycle and the other is Airwheel Z3 2-wheeled electric scooter. He thinks the Airwheel one wheel scooter X8 is adopting aerospace attitude control theory, fuzzy software algorithm and gyroscope system to maintain balance by leaning forward and backward. For him, it is very novel to ride. As we know, the one wheel scooter is the most difficult one to learn. But the electric one wheel has taken him less than an hour to learn. The faster learning speed gives him a great sense of achievement and enjoyment, as his friend spends two hours. More often than not, he regards the X8 electric unicycle as his plaything, other than transport, even though the 20km range is long enough for him. He uses X8 to do exercise, to go picnic and to walk dog. However, with the release of the Airwheel new products S6, Z3, M3 and F3, he has selected the Airwheel Z3 as his personal transport, because of the top-placed and changeable battery design. 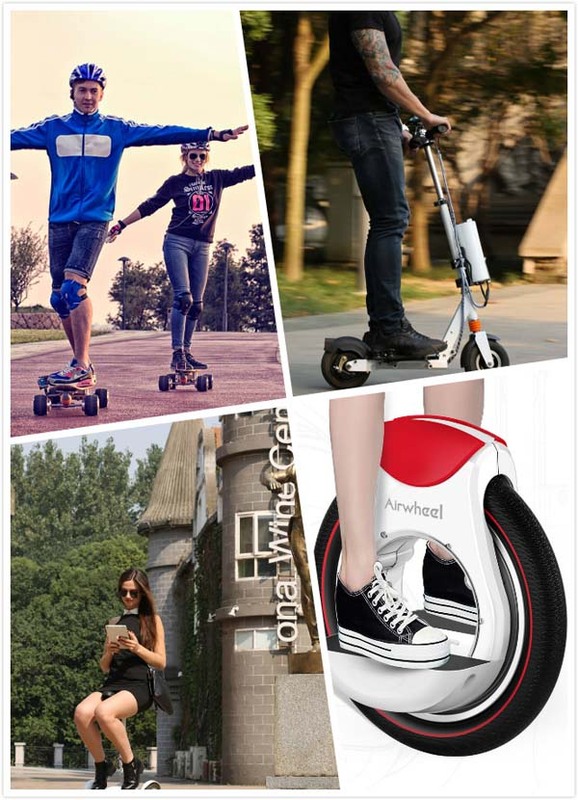 And riders can adjust and monitor the scooter comprehensively with the App, which can be downloaded from its official website http://www.airwheel.net/home/app. What's more, Z3 has been equipped with a brake assist system, so that riders can Increase the brake force to shorten braking distance when there is emergency braking. Now, Jack has no concern about going out in the rain and having a long journey. Jack's passionate life with Airwheel intelligent electric scooter has been envied by his friends and relatives.